Ten canisters of pressurized tetrafluoroethane over three weeks (ALKU 89, 2009, 7" horn-red vinyl). 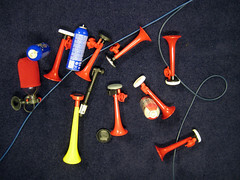 Two pieces for hand-held gas horns realized at the Music Research Centre, University of York, November 2008. Recorded using two Neumann U87 microphones and a Shure SM58 on custom-rigged pendulum. Recording engineers: Thom Blake, Theo Burt, Dr. Tony Myatt, Peter Worth. 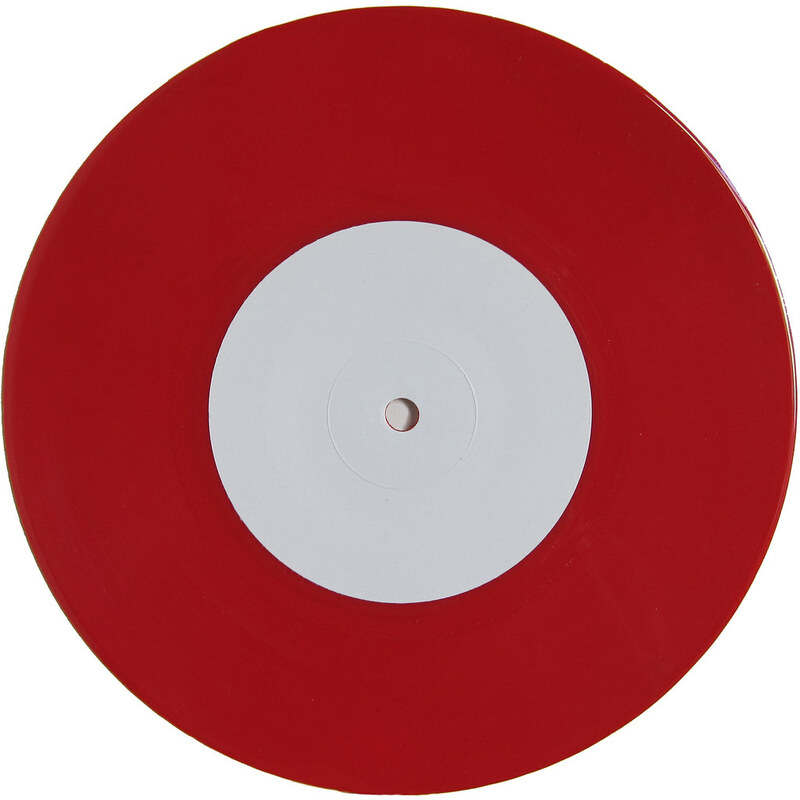 This record contains unprocessed acoustic sounds only. Acknowledgements: Anna Ramos, the Fell family, Joe Gilmore, Mat Steel, Heather Hughes, Paulo, Jenny's Fish & Chips, and especially everyone at York's New Aesthetics in Computer Music programme. The first EVOL performance to involve the use of pressurized gas horns dates from late 1999 in Barcelona's legendary Moog Club. Back then, the combination of horns and computer generated sounds was more a humorous prop (an extension of the computer music for hooligans motto) than an a deliberate aesthetic statement. But just a couple of years later, these mighty (≈ 120 dB!) sound generators quickly became a regular ingredient in EVOL performances, featuring entire acoustic sections where the horns mimic textures, timbres and dynamics of the electronic parts of the show. Sometimes, these acoustic interludes have involved up to four horn operators, hiding among the audience in each corner of the room. 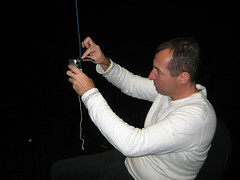 In November 2008, Roc Jiménez de Cisneros was invited to do a residency at York University's Music Research Centre, as part of the New Aesthetics in Computer Music programme. Over the course of three weeks, and with the kind assistance of the MRC personnel, he recorded several hours of gas horn sounds with high-end microphones and a custom built rig – a microphone suspended from a giant hand-operated pendulum at the MRC Rymer auditorium. Each section features up to 3 simultaneous horns played with different techniques to modulate their pitch, harmonic content or amplitude. Some of these methods are meant to be purely physical renditions of classical synthesis techniques, e.g., two opposed horns blasting air into each other to emulate amplitude modulation. On average, commercial gas horns produce a tone around 440 Hz (also known as the Concert A, that serves as the standard for musical pitch.) Some of the Marco™ horns used here were prepared with a fast-setting epoxy polymer compound to change their aperture. 1,1,1,2-Tetrafluoroethane is a haloalkane refrigerant with an ether-like odour. It has the formula CH2FCF3, and a boiling point of –26.3 degrees centigrade. 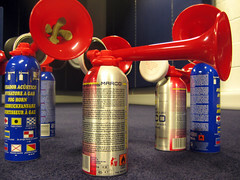 Tetrafluoroethane is the main component in many brands of gas horn canisters. 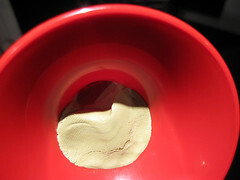 'Ten canisters of pressurized tetrafluoroethane over three weeks', the first totally acoustic release in EVOL's ongoing Punani series, contains several excerpts from the MRC sessions, totally unaltered, without further computer processing, electronic effects, or overdubs. Play loud, at 45 RPM!! !